Revise and evolve the identity to harmonize with the content and potential growth of a high end lifestyle brand, ensuring higher market value and brand loyalty. Create a brand feeling of nostalgia using California imagery and vintage textures. “Golden Gateway” is a glorious escape to California. A spirit, a lifestyle, a state of mind. The imputus behind the identy of the Golden Gateway logo was to reinforce the spirit of a California adventure. Go west my friends! 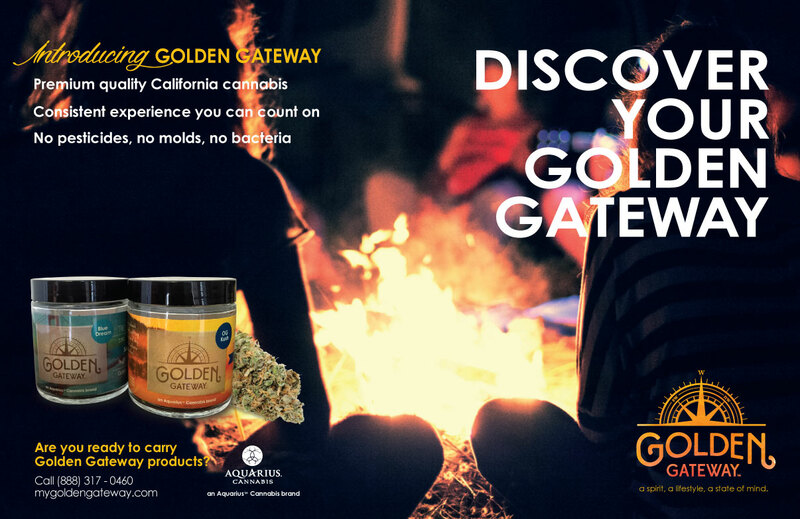 We combined the imagery of a compass and the rays of a setting sun to ignite the new direction and feeling the Golden Gateway brand stood for. The color palette was based upon the golden glow of a California sunset and the blues of the pacific. Lastly, we added a water color texture to the logo mark dramatising the magic of the brand. "Coming from the agency world, it was imperative that I work with an agency that shared the same values. My experience with The Cowlick Appeal was exactly what I was looking for. The brand process was fun, professional and collaborative. They committed to every timeline established and went above and beyond with their service. The Cowlick Appeal really does stand out among the rest!" Product packaging was designed to combine the character of the strain with a California landmark. 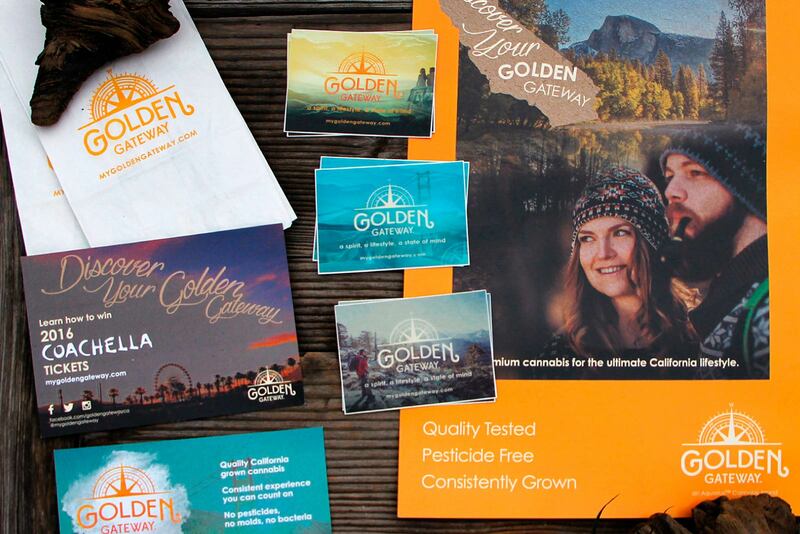 Adding a vintage texture and saturating the colors of each photo strengthened the Golden Gateway brand atmosphere. Once the brand direction was crystallized we continued to develop new and consistent ways to share their product to customers through multiple touch-points. 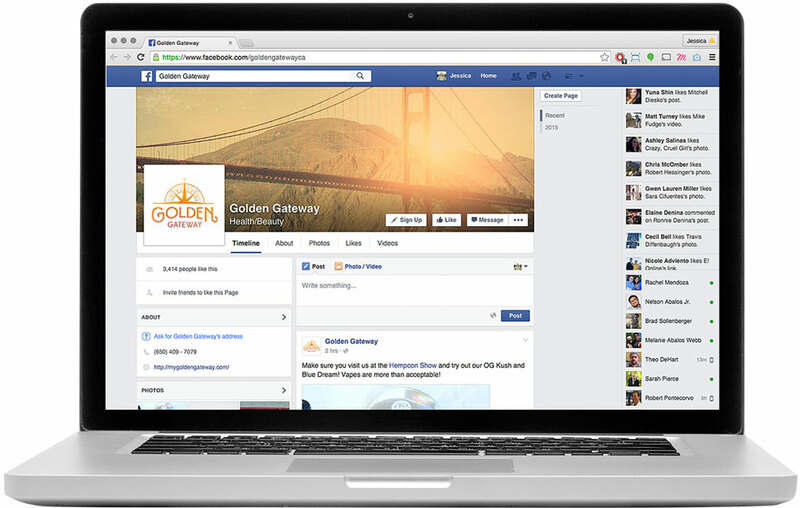 We brought the Golden Gateway vibe to product packaging, displays, promotional collateral, magazine ads, and social media.